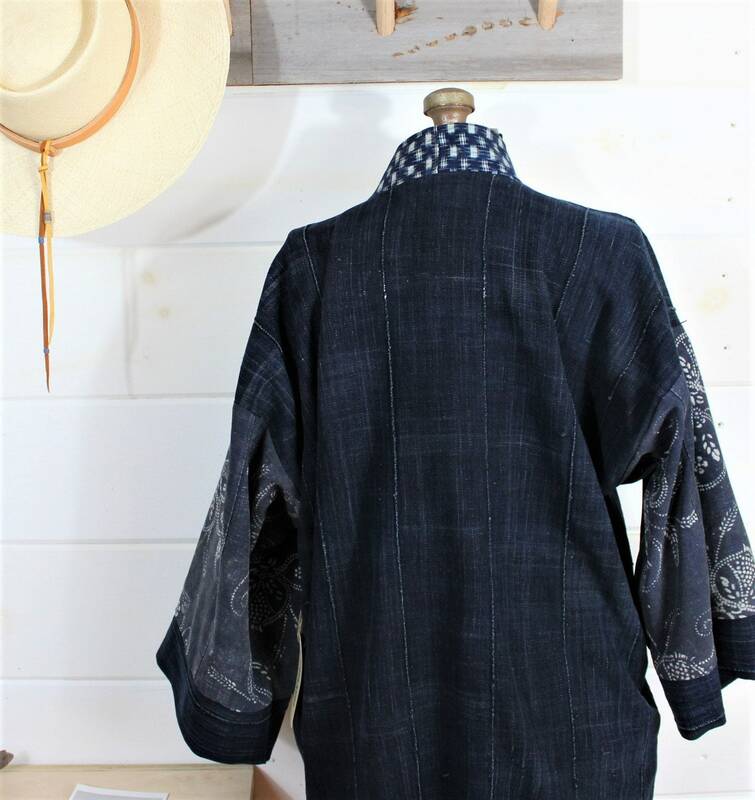 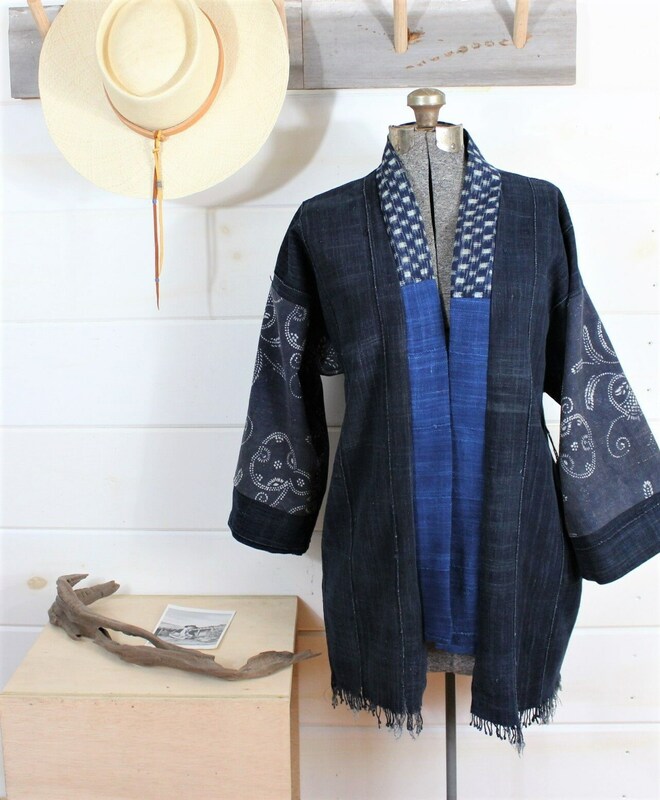 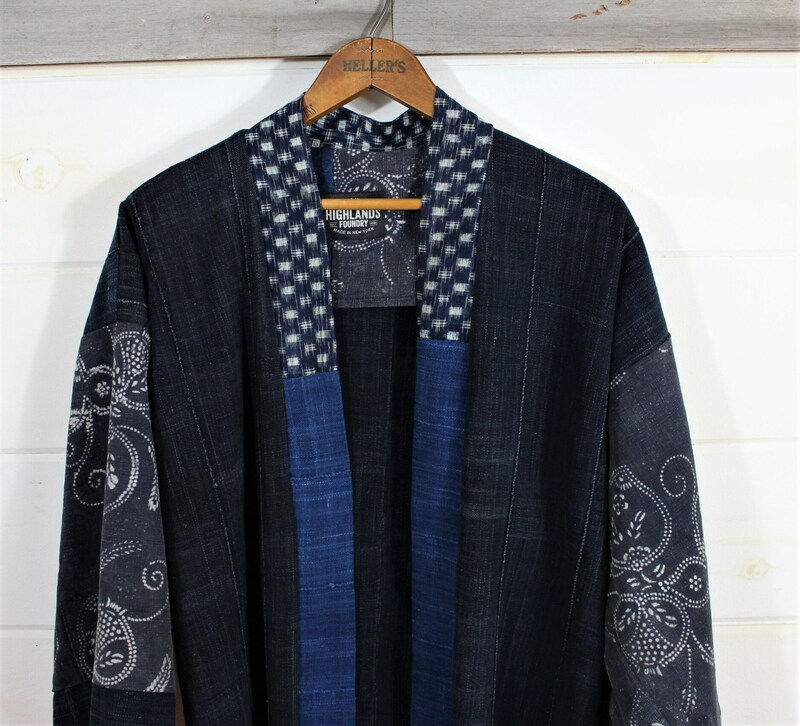 We chose several different Vintage handwoven Indigo cloths to create this one of a kind Haori style jacket. 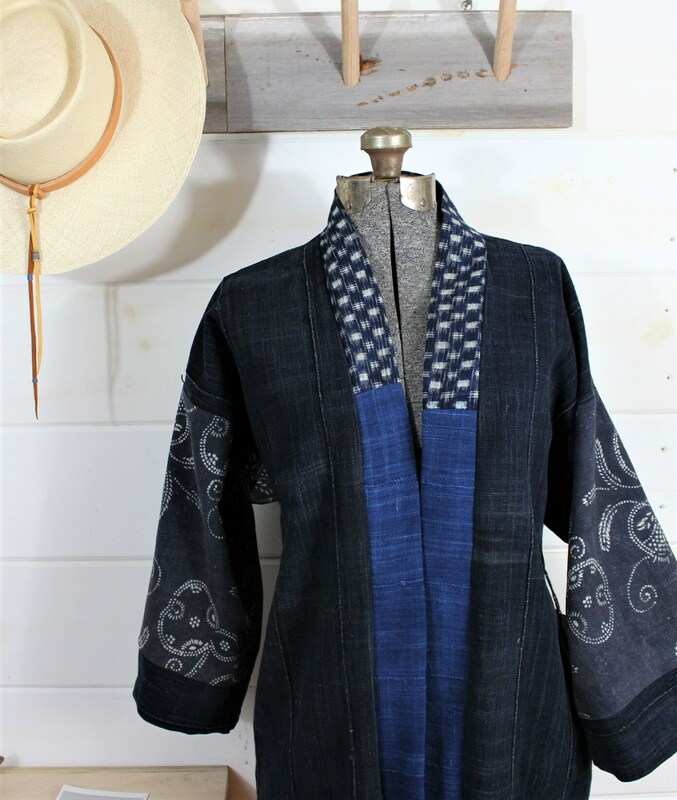 We combined vintage Handwoven Indigo cloth from Burkina Faso West Africa along with vintage Indigo Chinese Batik cloth for the sleeves, and vintage Japanese Ikat for the collar band. 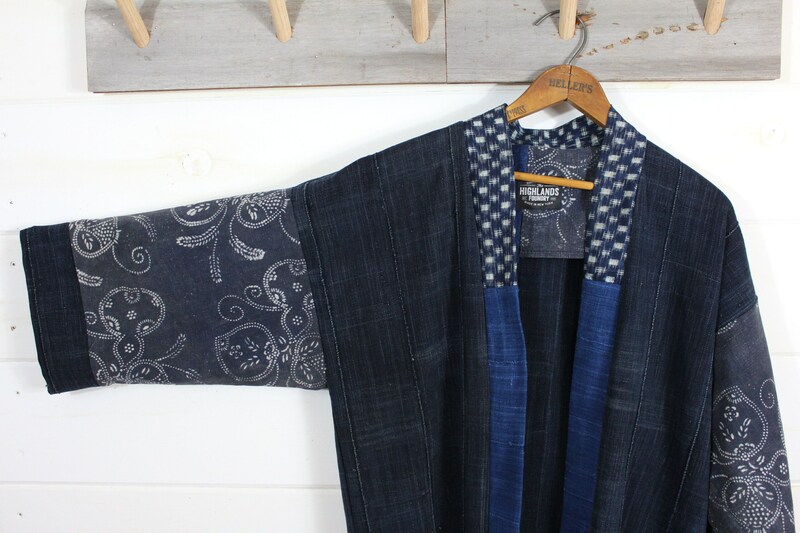 All of these Indigo textiles look so great paired together in this special piece. 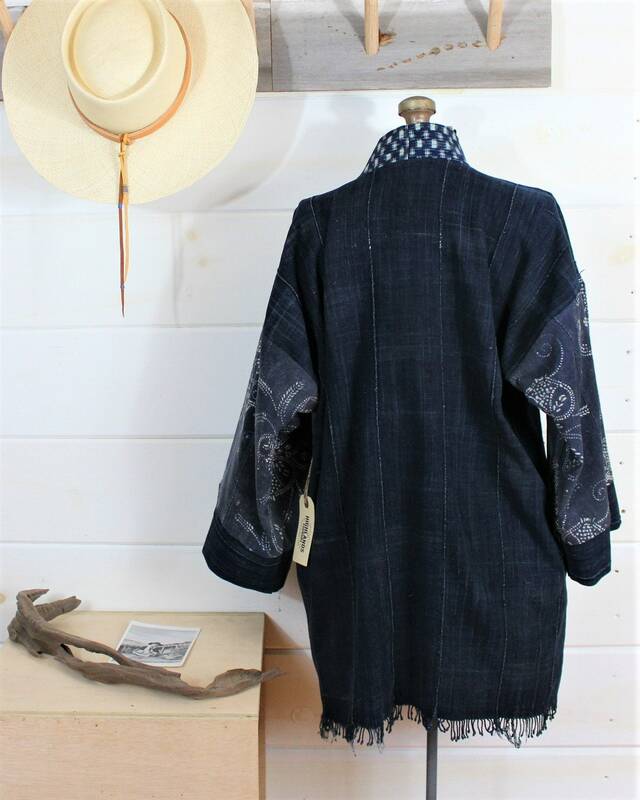 The fit is a relaxed oversized fit and is a one size fits all and unisex style. 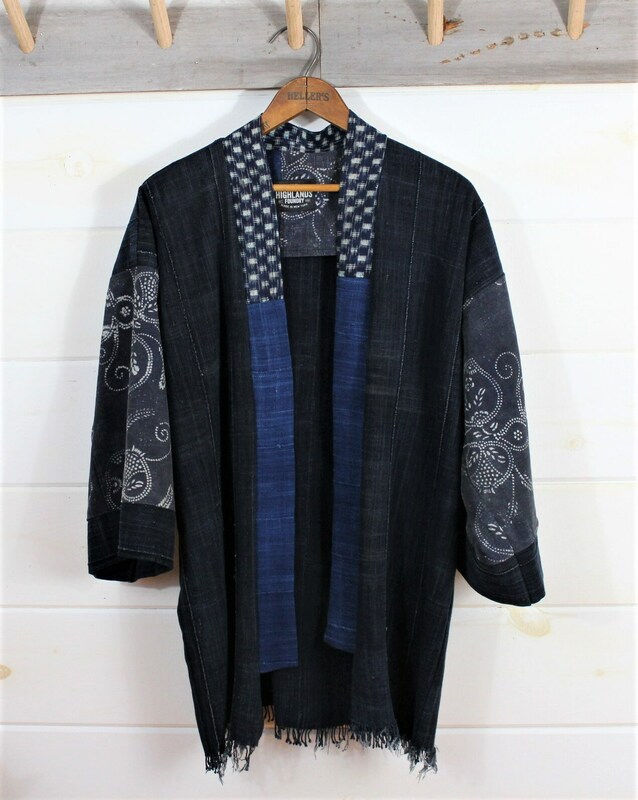 We suggest machine wash on cold gentle cycle, hang dry and iron if needed. 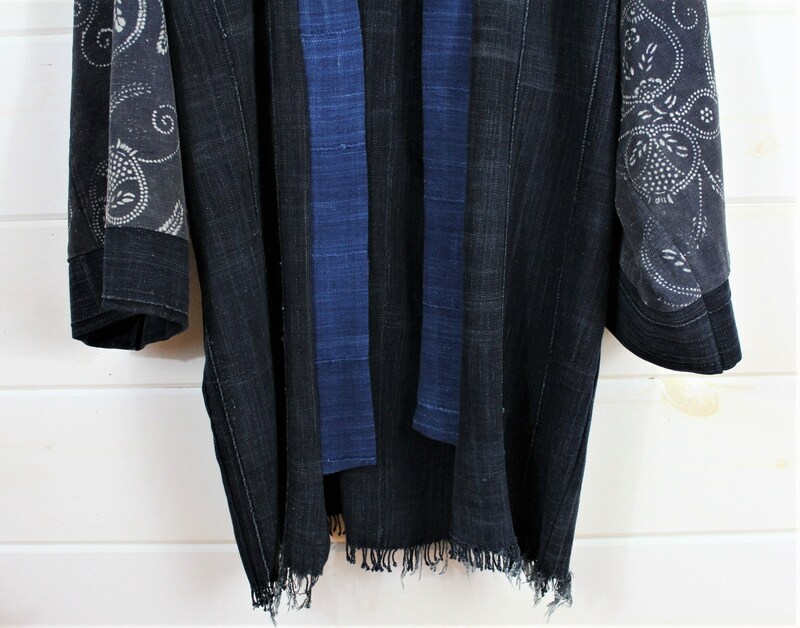 We always suggest extra care when caring for vintage textile pieces.